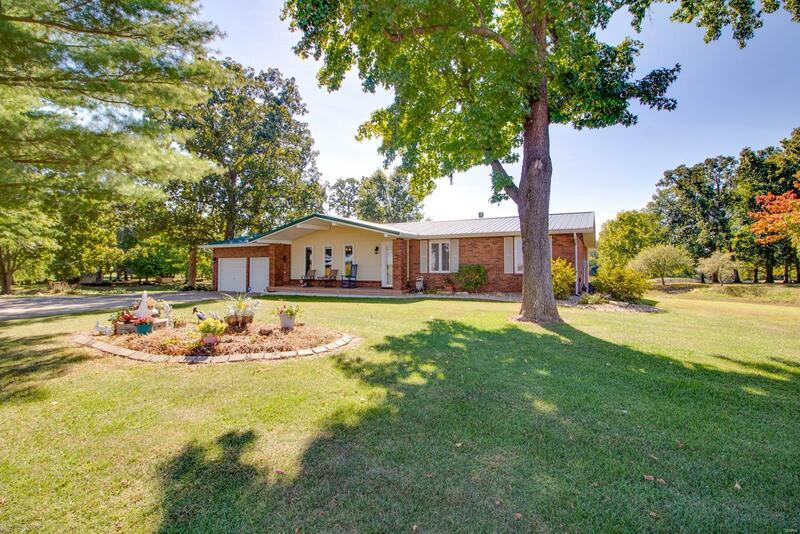 Beautiful setting for this ranch style home that offers lots of updates! Situated on a large 2 acre tract and overlooking a lake this home is sure to impress. The main floor offers an open floor plan and a fantastic kitchen. The full bath off the open area just received a fresh renovation. There is large master sweet that would spoil anyone...vaulted ceilings, door to the deck, views of the water, double sink, and a HUGE shower! The lower level is a walk out and has a family room, bonus room, and lots of storage. Enjoy the outdoors from the covered front porch, deck, patio, or gazebo. Large detached pole building is suitable for a workshop area or storage for toys and equipment. Schedule your appointment today! !